Formula: Manufacturers often times promote the strength of their spay in percentages, such as a 5% formula. However, this really means very little. Something can be a 10% formula with the 10% being not very hot. A common denominator when measuring the strength of pepper spray is Scoville Heat Units (SCU). Fox Labs pepper spray is a 2% formula but uses a 5.3 million SCU oleoresin capsicum. What does all this mean? 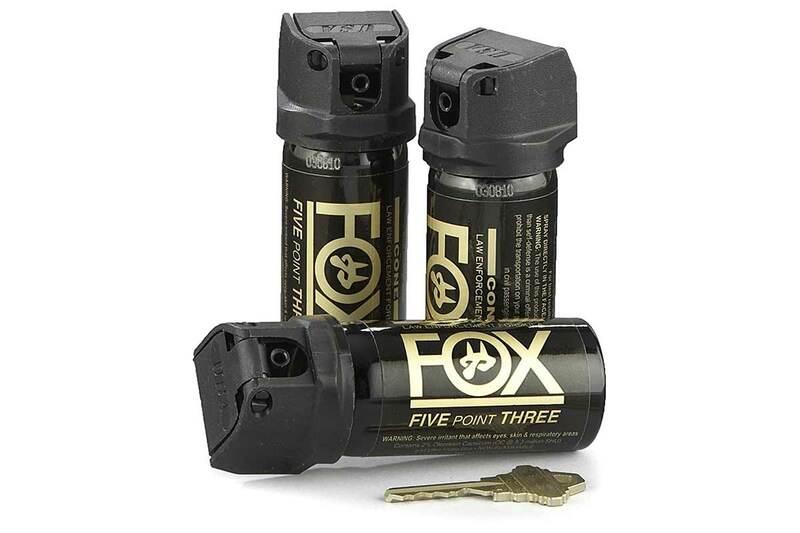 Fox Labs produces some of the hottest, most effective pepper spray available. Spray vs Foam: In general spray can reach further distances than foam and can be easily directed. It is a lot easier to decontaminate spray, as foam is very sticky. Carry: Although a bit larger than some of the “key ring” units, this particular pepper spray is a good balance between size and output volume. And besides, pepper spray needs to be carried in your hand, not dangling from your key ring. The fastest draw of a weapon is to already have it in your hand when the trouble starts. There is not a manual safety on this unit. Rather there is a “flip top” that you simply slide your finger under and press. This unit is fast to deploy. Spray Pattern: Pepper spray units usually output in a stream or fog pattern. With a few exceptions a stream pattern is usually best. Streams can go further and have a smaller chance of hitting unintended targets. When outdoors there is a smaller chance of wind blowing a stream of pepper spray back at you. There is no perfect force multiplier for every situation. However, if I could have only one non-lethal weapon for self-defense, it would be this particular pepper spray unit from Fox Labs.